Juggle your website content like a Pro ! 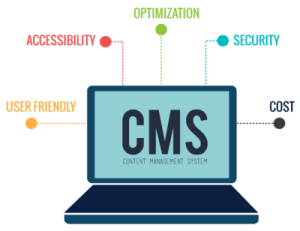 CMS or content management system is a buzzword for tool used to manage content of a website. It can either be developed a-fresh OR plugged into an existing website. Most modern websites nowadays come with an in-built facility to manage content. In fact, an in-built CMS solution is almost an industry standard these days. Regardless, a good content management system is a must have for content rich websites. It comes handy and can save lot of hassle when you need to modify or update your website. CMS gives you full control over your published content, both text and images. CMS websites are nothing new to RG Infotech. We have been into CMS website development for ages. In fact, most of our websites havean in-built CMS solution. 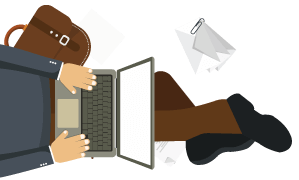 Our content management systems are very user friendly and designed for all user groups from novice to professionals. We have varied flavours and capabilities built in our powerful CMS platforms. Whether you are creating a new website or updating your existing site, the first thing that you need is the perfect content management system. The cutting edge CMS technology has paved way for well managed websites that provides ample flexibility for users. We at RG Infotech frequently use popular open source CMS and PHP CMS frameworks, on customer’s demand. Our web developers have produced best CMS platforms for variety of websites. We make it easier for our clients to manage their content on the website without any prior knowledge of web designing or development. We at RG Infotech strive to bring in the difference to all websites we develop and implement access control and scalable expansions. We provide our customers with flexible, scalable and a great collaboration platform for their most important online business entity – their website! Get in touch for a comprehensive CMS solution.